Entrepreneurship is taking the risk of doing something and also doing it in a different way than it has been done before. 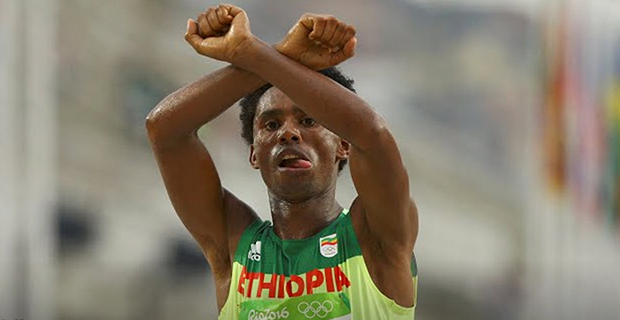 In Ethiopia, it has been taken as one of the ways to create more jobs and reduce poverty. The government showed its commitment to entrepreneurs by budgeting 21 billion Br on its five-year strategic plan. Yet, many businesses got interrupted before reaching their intended goal, and the government has been criticised for its rigid business starting procedures, unintegrated institutions and for hesitant response to ever-growing entrepreneurship demands. To address such issues, experts and entrepreneurs call for policy and institutional reforms and for the enactment of national entrepreneurship policy, writes BEHAILU AYELE, FORTUNE STAFF WRITER. Incubatees at blueMoon. 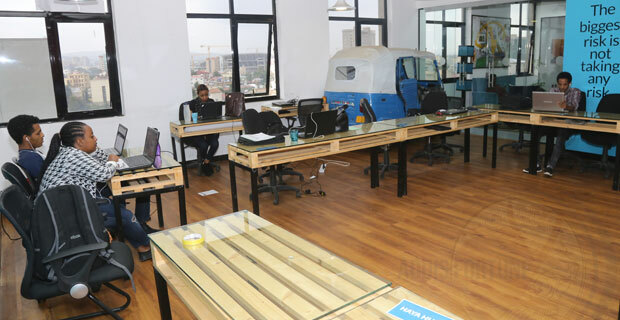 Incubators, such as blueMoon and IceAddis, back innovative startup ideas that are scalable and transformational. Etaferahu’s small kiosk which sells a variety of spices has put out red peppers in its garden for the sun to dry. On a busy Wednesday at lunchtime, Etafer Balitina’s – a small kiosk for condiments on Togo Street – employees prepare a red pepper variety known as Mareqo. The owner and salesperson of this decade and a half old business is Etaferaw Yimer, 41, who co-manages with her mother. She started her business with a capital of 500 Br after returning from Djibouti where she worked for nine years. Her company’s capital has now grown to 5,000 Br and hires temporary employees. Despite the number of years Etafer Baltina has stayed in business she has faced challenges to sustain it in the market. “Establishing this small business was not easy and keeping it in business has been just as hard. I built this company from the bottom up. Nobody, besides my mother, extended a hand when I was struggling,” she said with a smiling face. Such experiences are not unusual around the globe. In the United States, around a fifth of businesses survive past the first year of operation. This phenomenon is worse in developing nations, though. 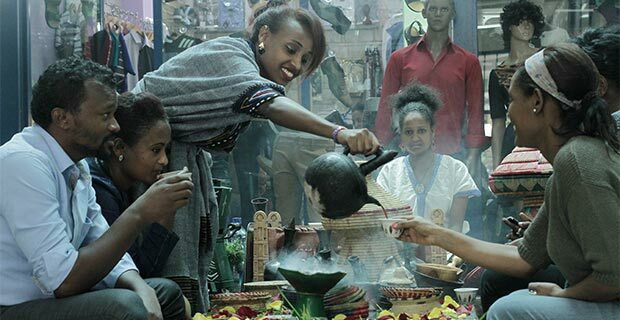 The World Bank Group, in its annual doing business index, ranks Ethiopia 161 out of 190 economies in the world – the nation’s lowest ranking in this decade. 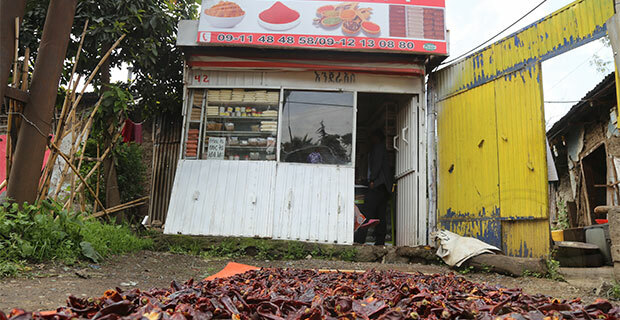 Ethiopia fares in the doing business indices worst when it comes to starting a business – just behind the strength of protections afforded to minority investors – where it is ranked 174th. The World Bank though acknowledges that the country has made some positive strides such as removing the requirements to open a bank account for company registration and a paid-up minimum capitals. Selam Ayele, who works at Growth Africa, a post-revenue and business accelerator company, relates a similar experience as Etafer and the World Bank report. Growth Africa provides developing companies with access to supports such as mentorship and potential investors. “When we pitched our business idea, we couldn’t find it in the list of the business category, and there was no room for startup businesses.,” she said. “They told us to apply as a small and micro-enterprise and register for a value-added tax [VAT]. We were subjected to double taxation, and the system treated us like a medium enterprise. We had to close,” she says of the business she begun with colleagues but could not sustain. The problems of starting a business include inflexible regulatory policies, public sector bureaucracy and the lack of access to capital according to entrepreneurs Fortunetalked to. 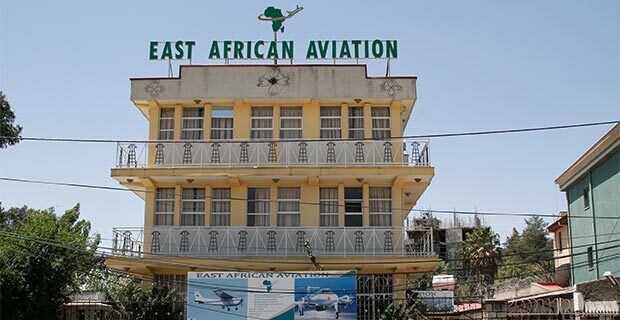 He adds that as a result of shortages of raw material created by the foreign exchange crunch they are planning to revitalise the firm by relocating to Uganda. “Following the devaluation of the Birr [by 15pc against a basket of major currencies], the purchasing power of consumers has declined to serve as yet another stimulus to move on,” Henok adds. The second edition of the Growth & Transformational Plan (GTP II) states that one of the main problems in releasing structural economic transformation is the low level of promotion of entrepreneurship. The Plan recognises nurturing entrepreneurship and business management capabilities as necessary steps to take to make the private sector the engine of growth. 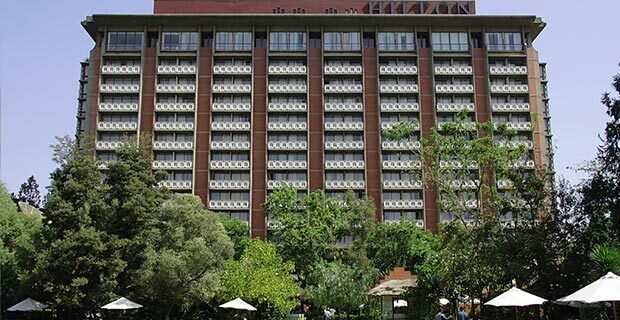 The GTP II targeted to disperse 21 billion Br to satisfy the capital demands of existing and entrant businesses in Ethiopia. “We have already invested close to 15 billion Br in new small and medium scale enterprises,” Bekele Mengistu, deputy director of Federal Urban Job Creation & Food Security Agency says. 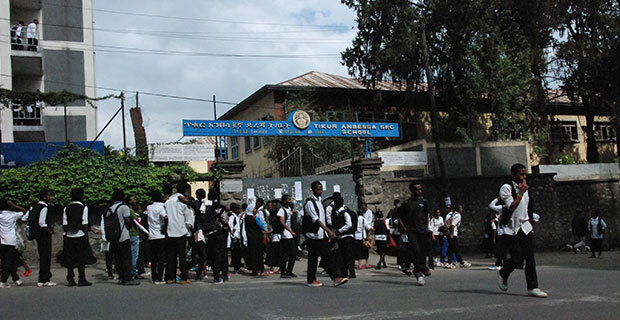 But implementation of the plan lacks formality and autonomy from political influence, according to Yaschilal Shitaye, a PhD candidate at Addis Abeba University, who has been teaching management and entrepreneurship for the past 17 years. “There are repetitive outcries against the partial treatment of some entrepreneurs over others by government agencies,” he told Fortune. Aside from the government, international development partners, incubation hubs, training centres and learning institutions are trying to feel the holes that are discouraging possible entrepreneurs from realising their dreams. One of these is the United Nations Development Program (UNDP). Since the start of its program, Entrepreneurship Development Programme in 2013, UNDP has made investments close to 13 million dollars. The first phase of the program ran from February 2013 to June 2017. The second phase is from July 2017 to June 2020, according to Martha Mogus, communications chief of UNDP Ethiopia. The Entrepreneurs Development Center (EDC) coordinates with the UNDP by provide training, policy advocacy and facilitating finance to women entrepreneurs. Since the rollout of the programme half a decade ago, 66,000 entrepreneurs have been reached. “This year we have far trained and given service to over 14,000 startups and enterprise entrepreneurs,” says Wondwossen Tsegaye, the Centre’s monitoring and evaluation specialist. There are also initiatives to support startups coming from the private sector, where entrepreneurs can get seed money, professional support and consultancy for their businesses and projects. Companies like blueMoon and IceAddis have created platforms for startup businesses to get seed money based on the scalability and transformative potential of their initial idea. Eleni Gebremedhin (PhD) is the CEO and founder of blueMoon, Ethiopia’s first youth agribusiness incubator and seed investing platform. She adds that the education system should support and be flexible and regulatory policies should be able to make crowd-funding and small-scale funding easier. The development of entrepreneurship has also got a new formal academic support. The two-decade-old St.Mary University started a graduate program in entrepreneurship six months ago. “Even if there is a demand to take a formal education in entrepreneurship, there is no academic institution that offers the discipline so far. To address this demand we came up with an entrepreneurship curriculum,” said Mosisa Kejela, assistant dean at St.Mary University International Graduate Program. The first batch, comprised of 20 students, has started the study given in collaboration with Milan Catholic University. In Ethiopia, close to 17pc of the adult population remains unemployed. Despite efforts by the government to change this, experts note that inaccessibility to capital and land, low skilled labour, poor infrastructure and burdensome regulatory frameworks have been a drag on creating new businesses. But entrepreneurs like Henok say that despite the odds, entrepreneurs should fight for their dreams. “Even with a careful analysis of the business environment, a great deal of dedication is necessary,” he says. Selam suggests that the government comes forth with more platforms for individual entrepreneurs with a unique idea. “The system should be flexible and fair if we want to see more entrepreneurs,” she says.